This 1975 M151A2 aka MUTT is a fully remanufactured 151 that was hand built from the ground up using 12 gauge steel replacement tubs and 12 gauge body panels. 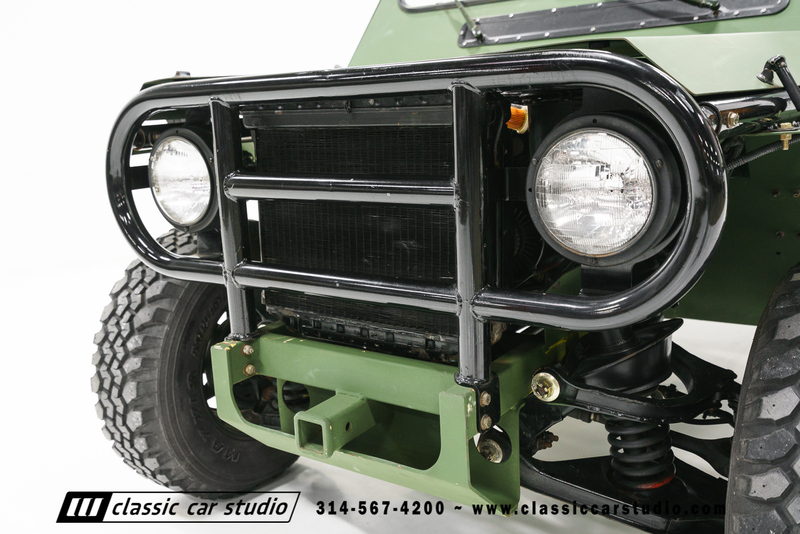 Dubbed the “Wolverine”, these trucks were contracted through Ocala Fabrication in Florida, with most of them being sold out of country. 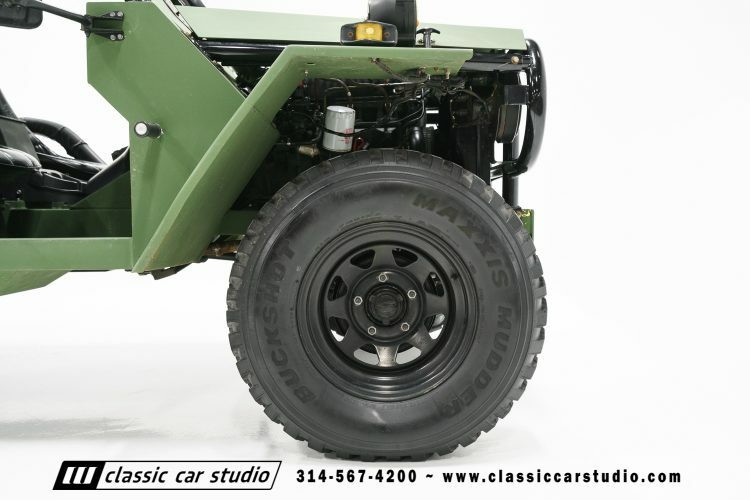 The M151 is registered for street use, but would make an awesome farm or utility vehicle. 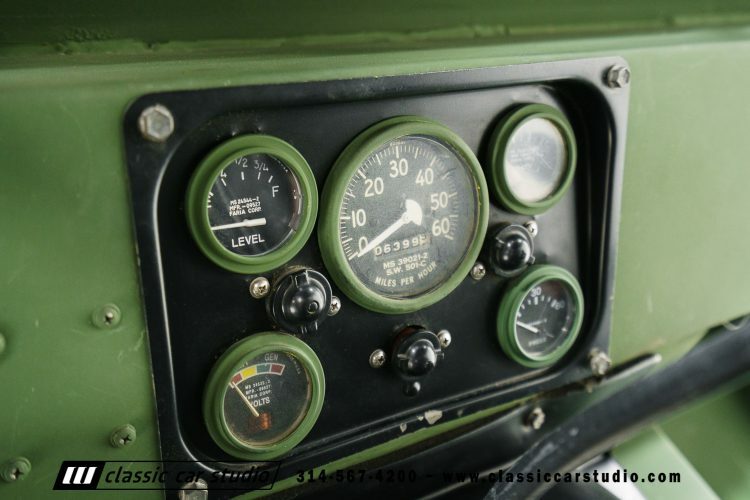 This particular model is 10” shorter than a stock 151 which greatly increases performance in approach and departure angles. 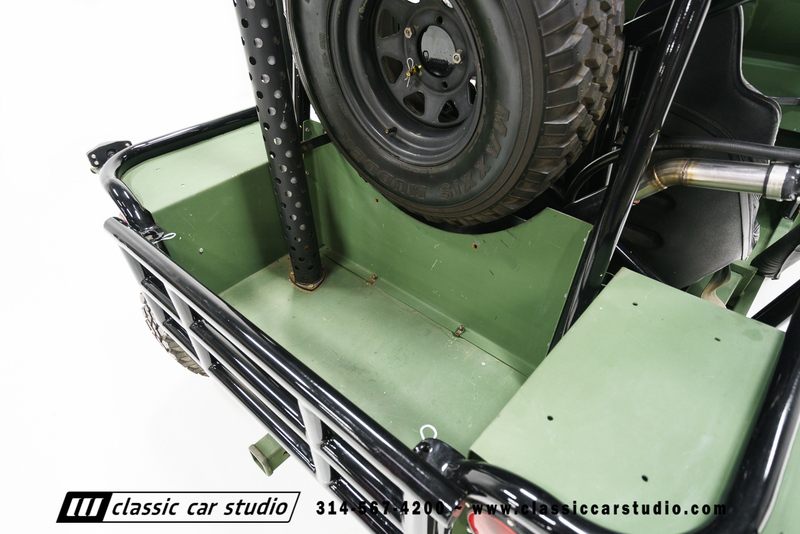 With the installed fording kit, the truck can drive in up to 60” of water(don’t get too crazy). 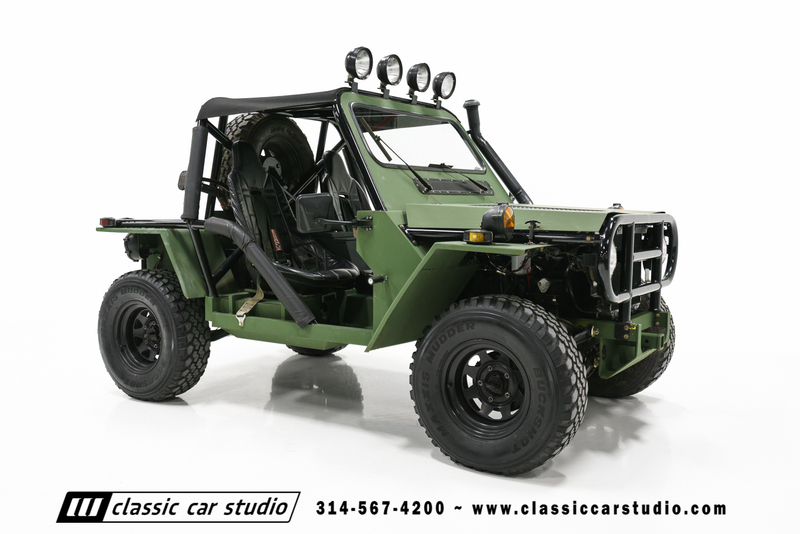 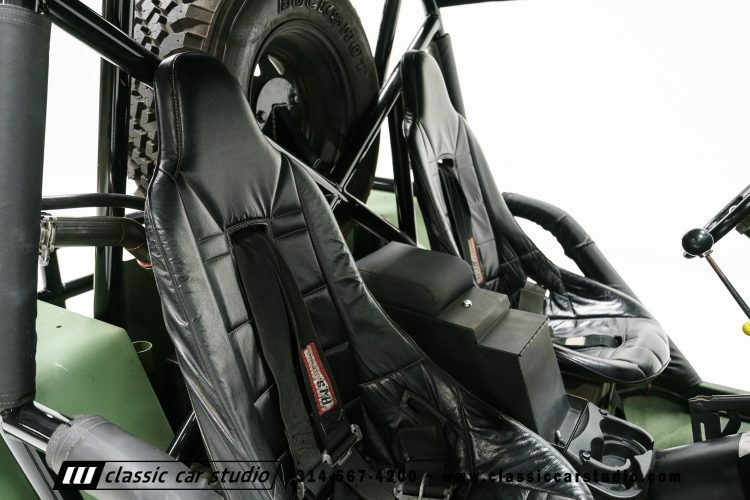 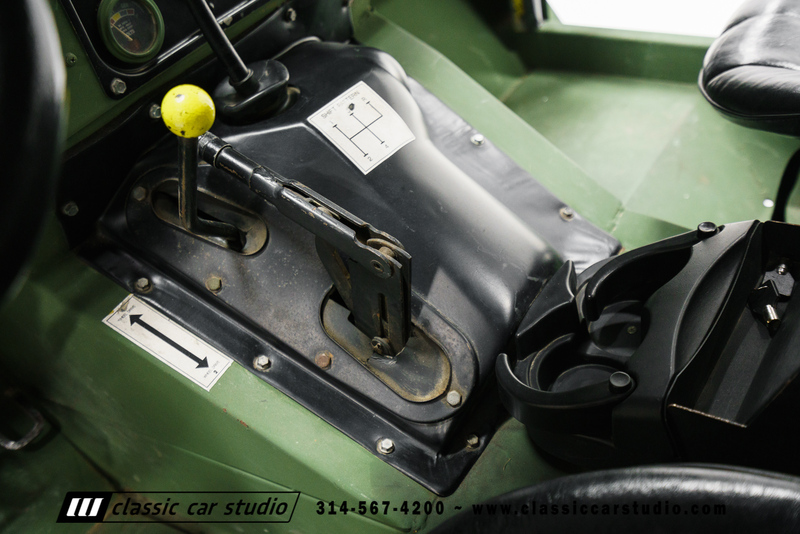 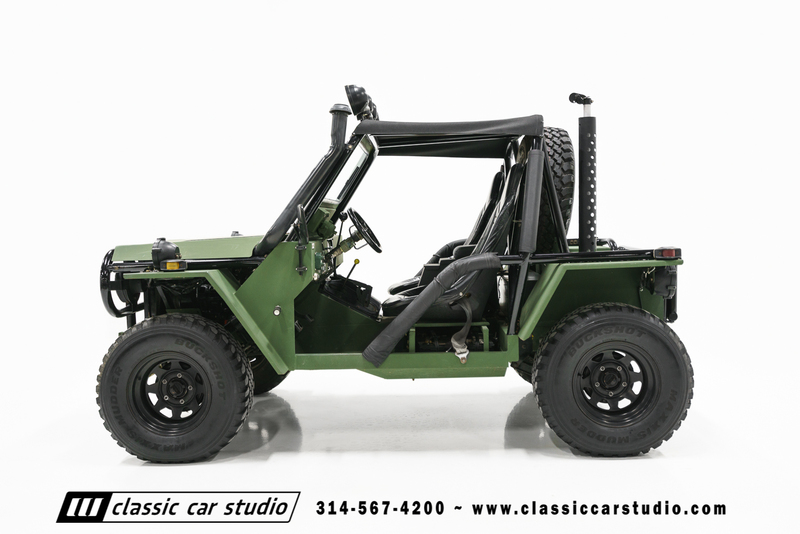 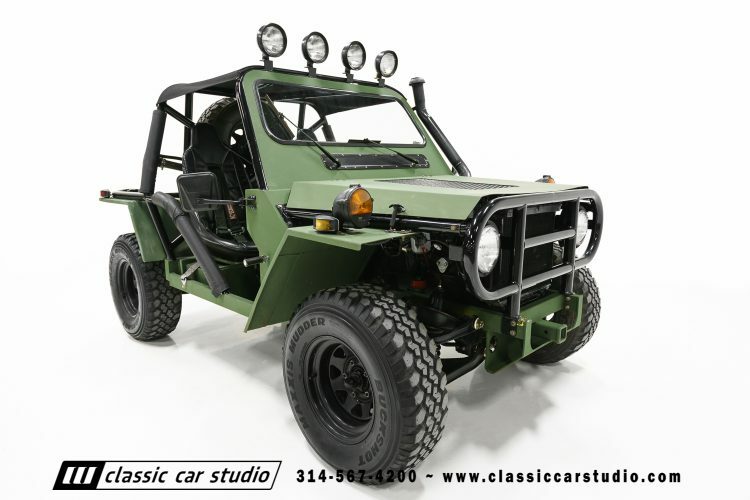 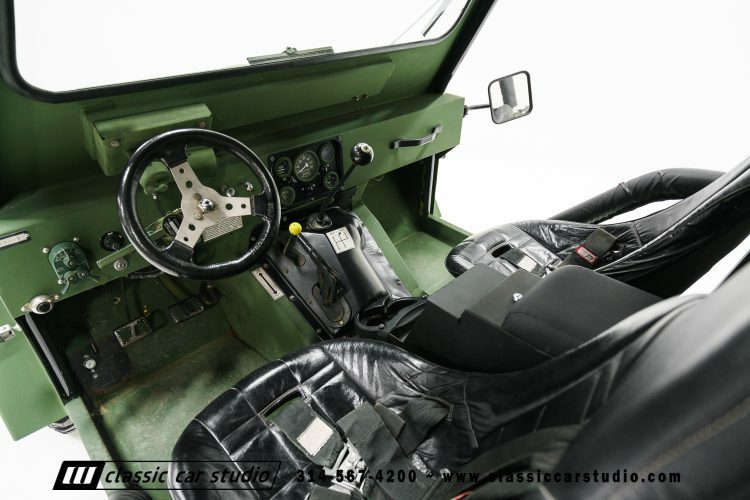 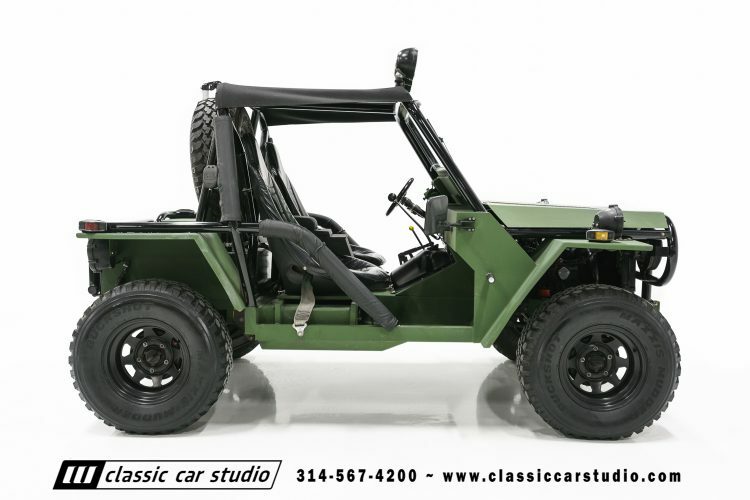 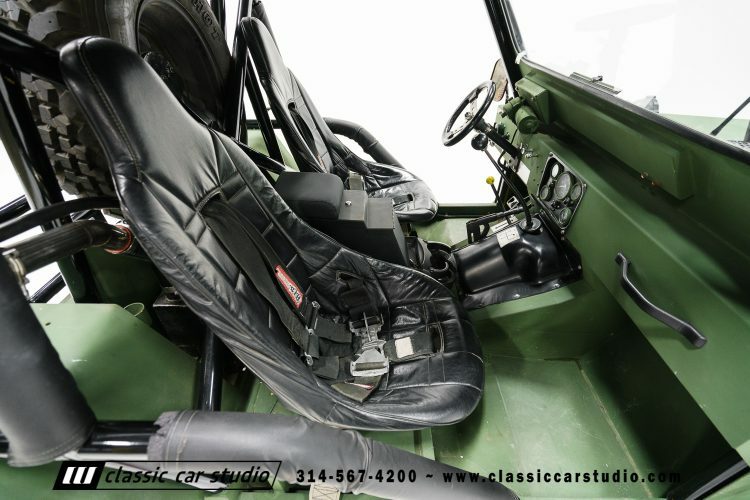 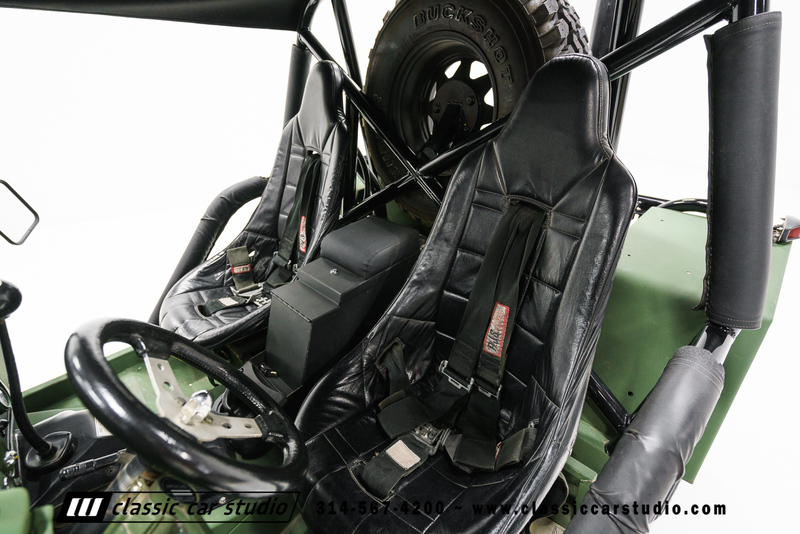 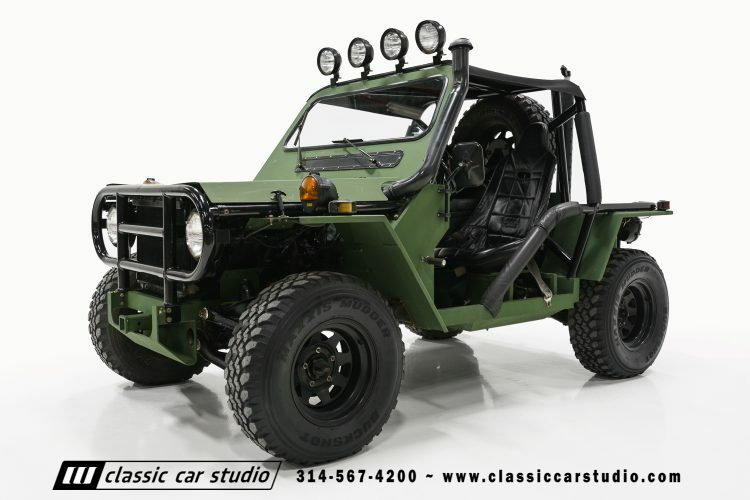 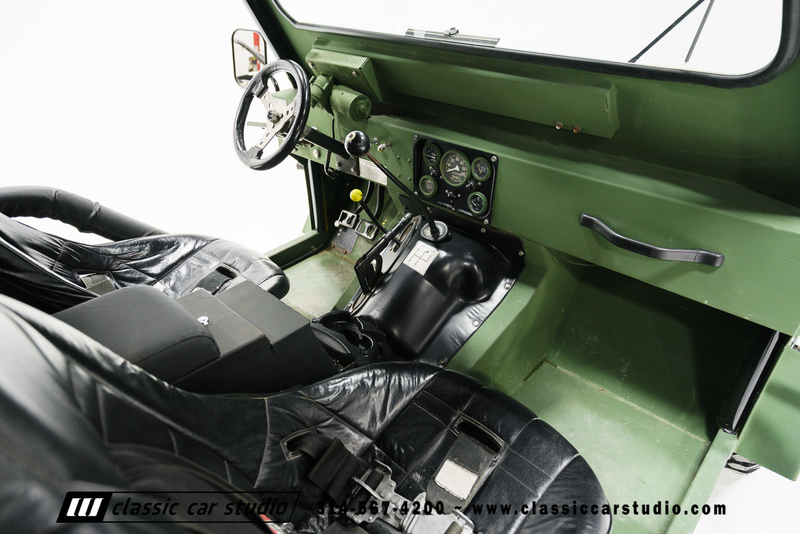 The Wolverine was engineered with a full roll cage, high backed Baja seats and 5 point racing harnesses. 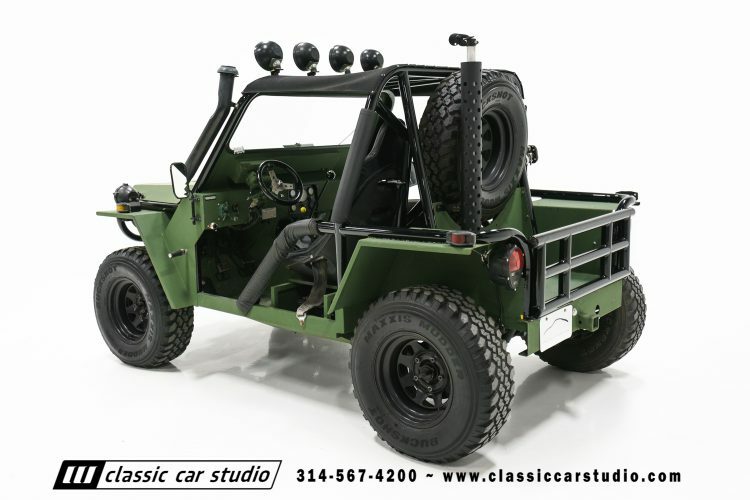 Although the Wolverines were engineered without doors or fixed roofs, this vehicle does have a bikini top. 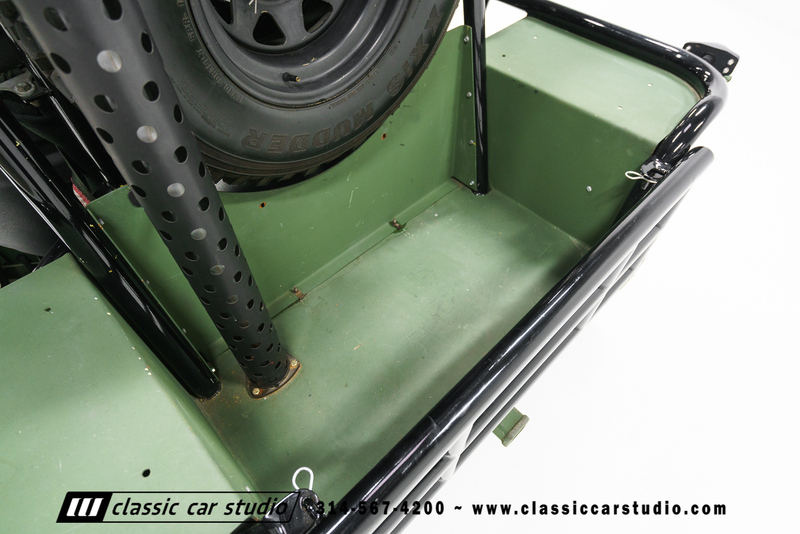 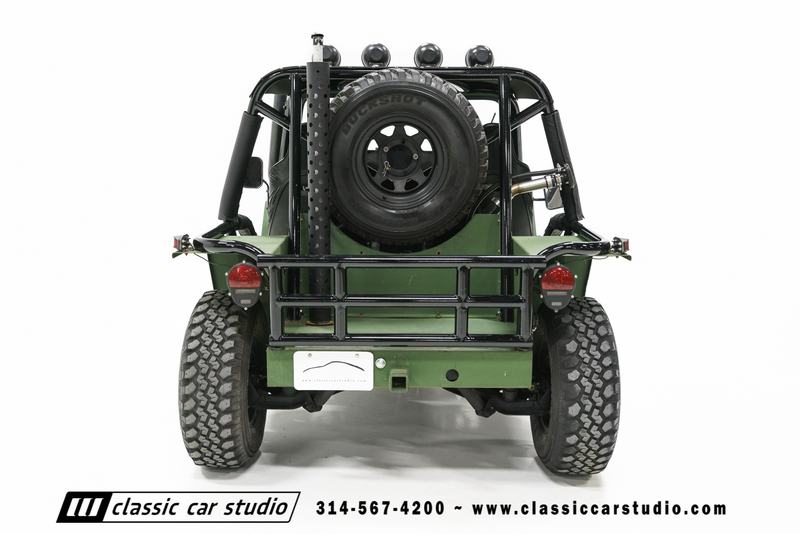 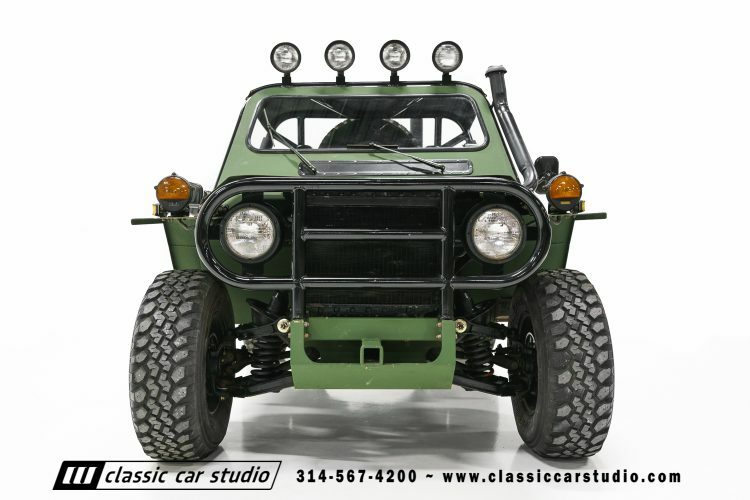 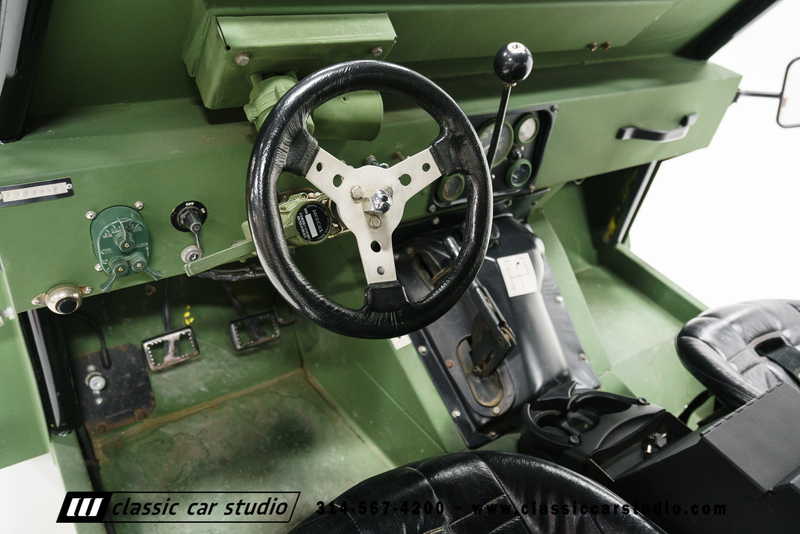 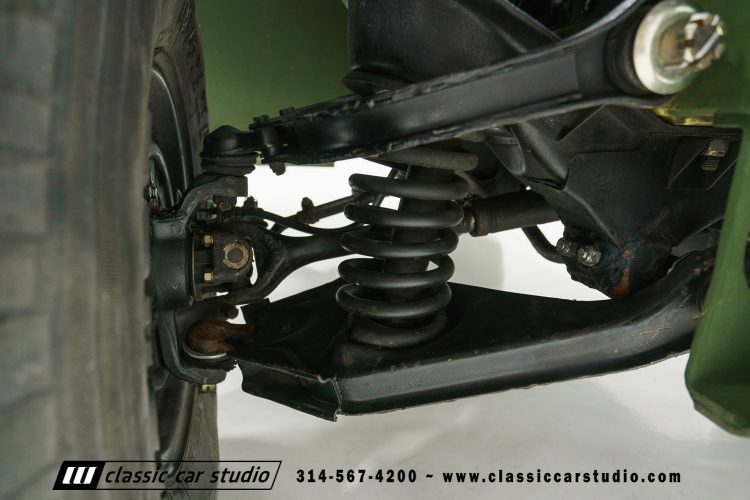 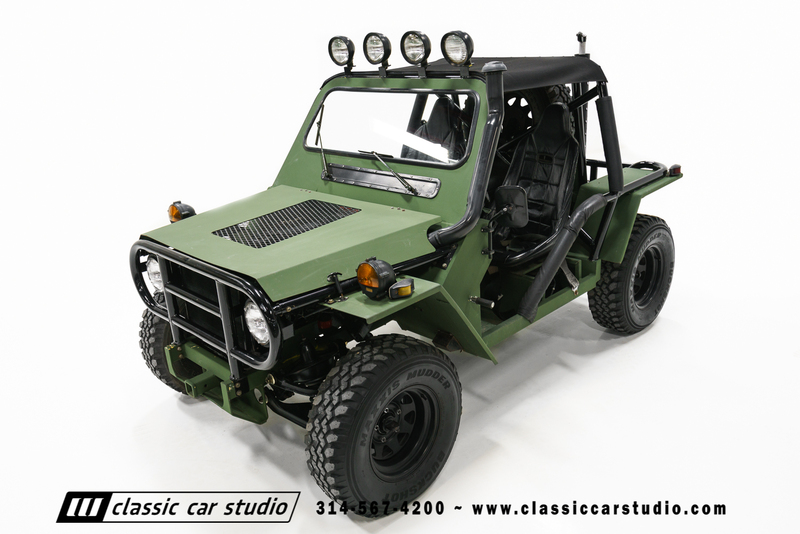 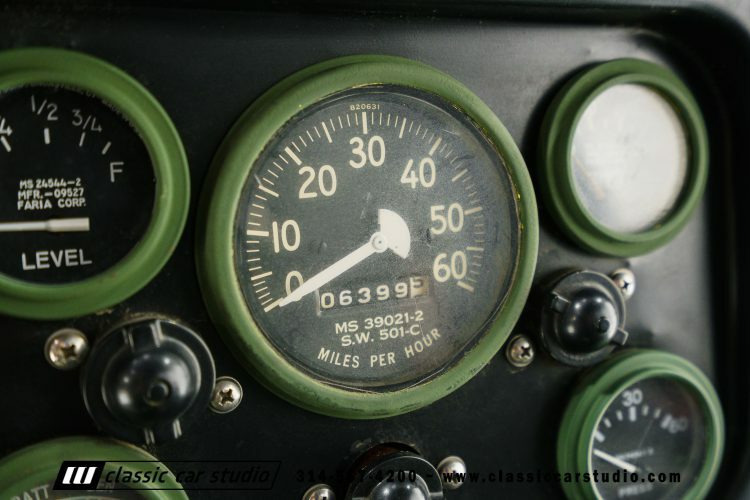 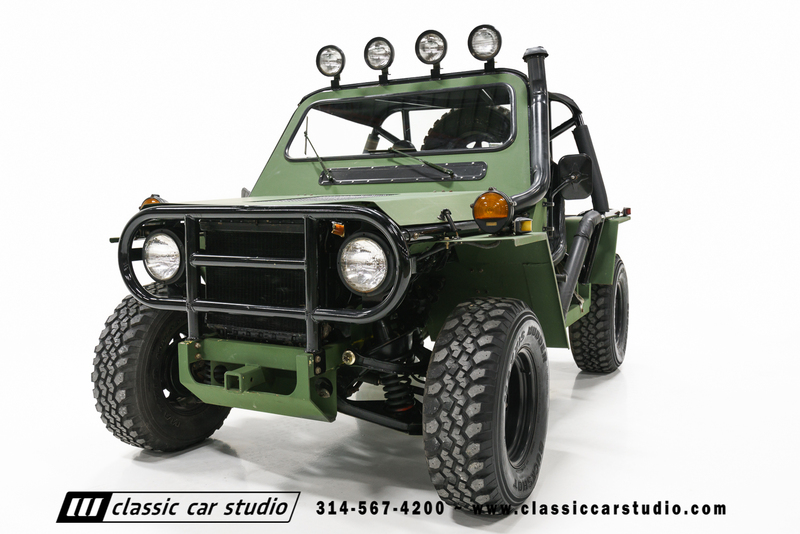 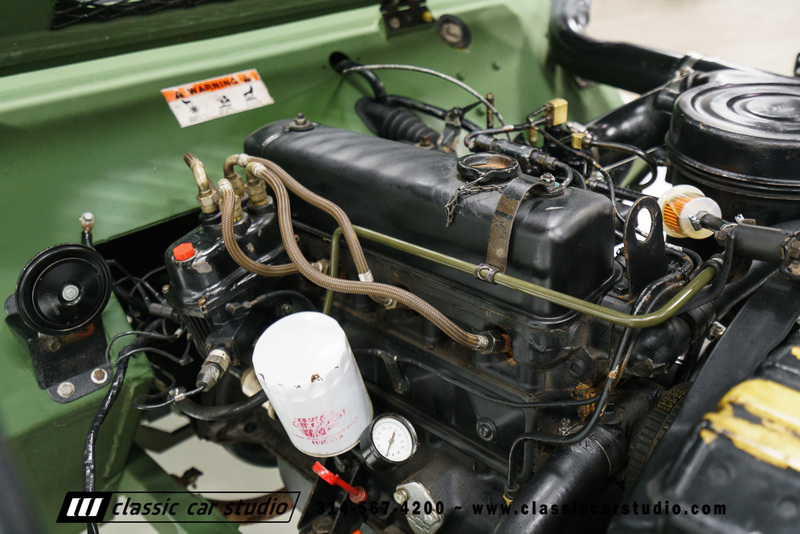 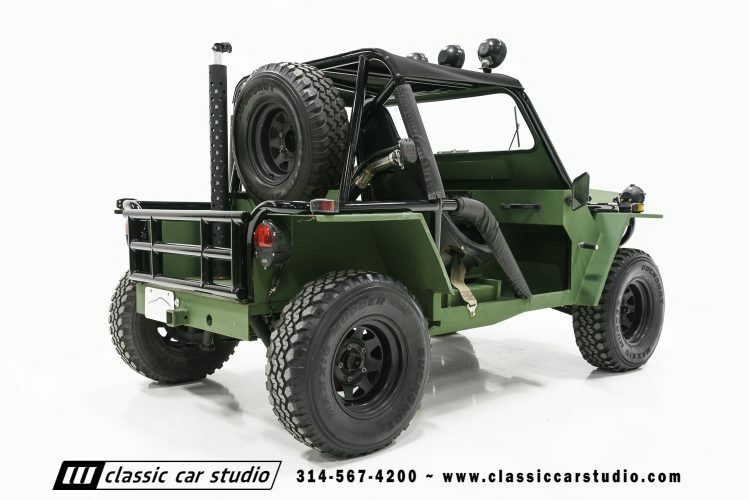 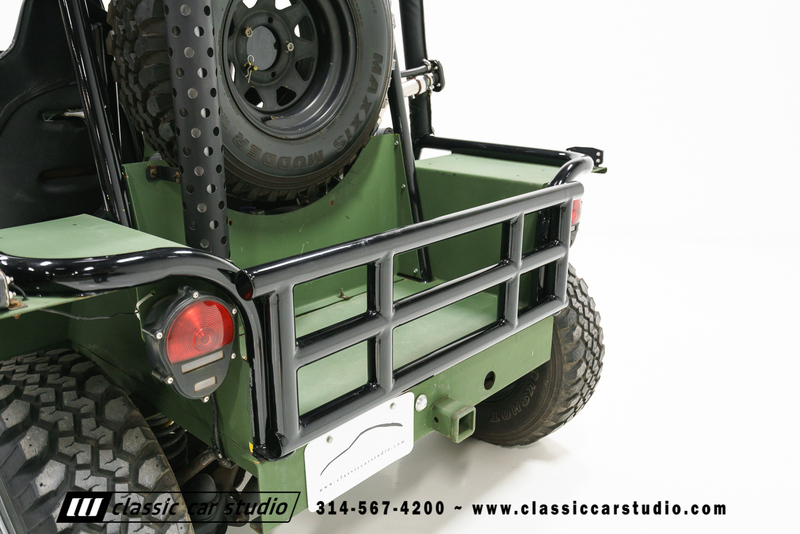 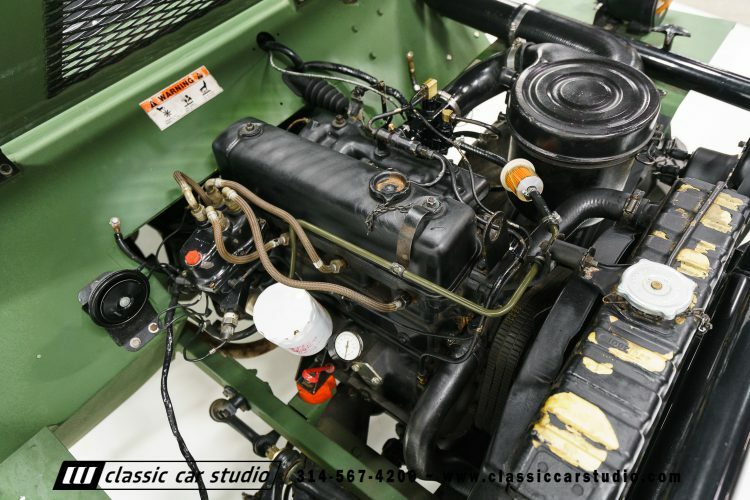 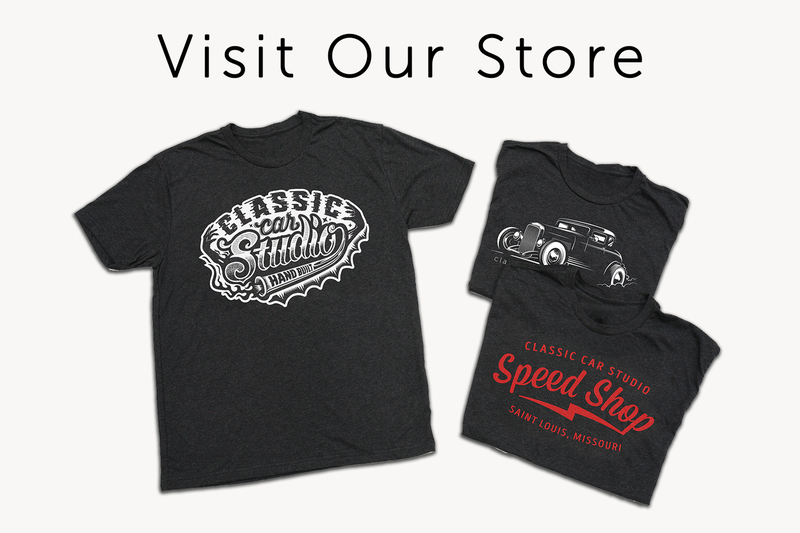 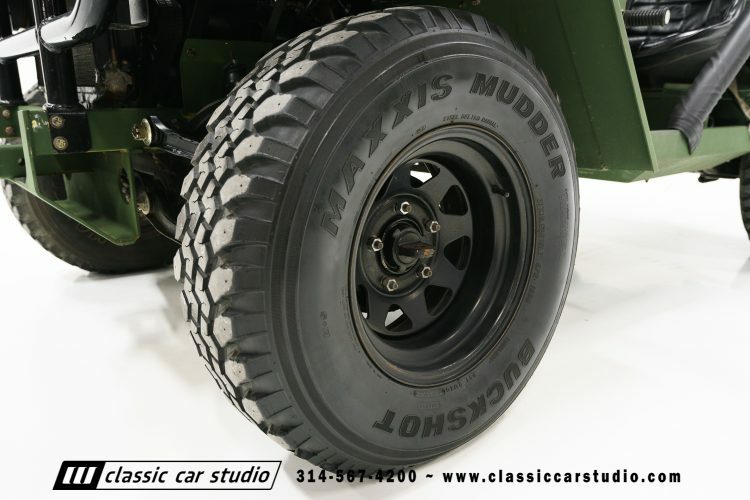 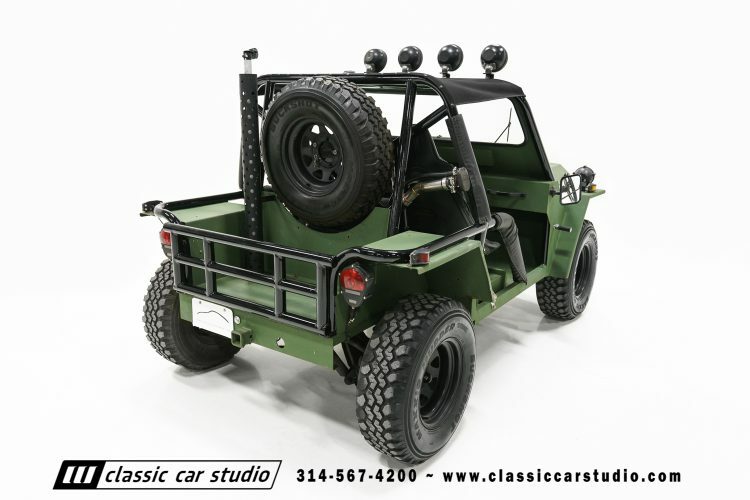 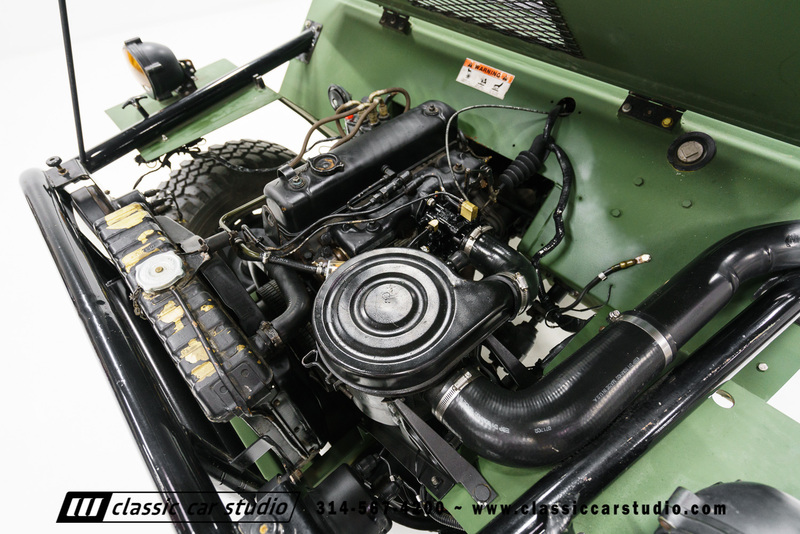 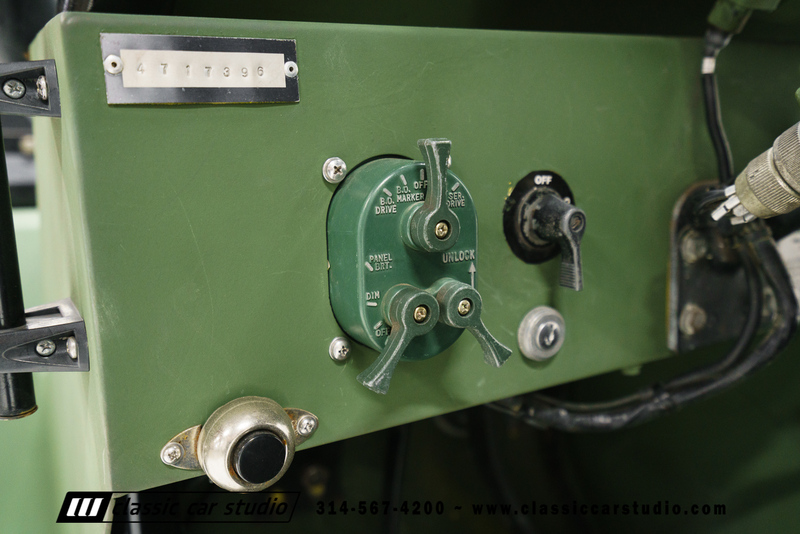 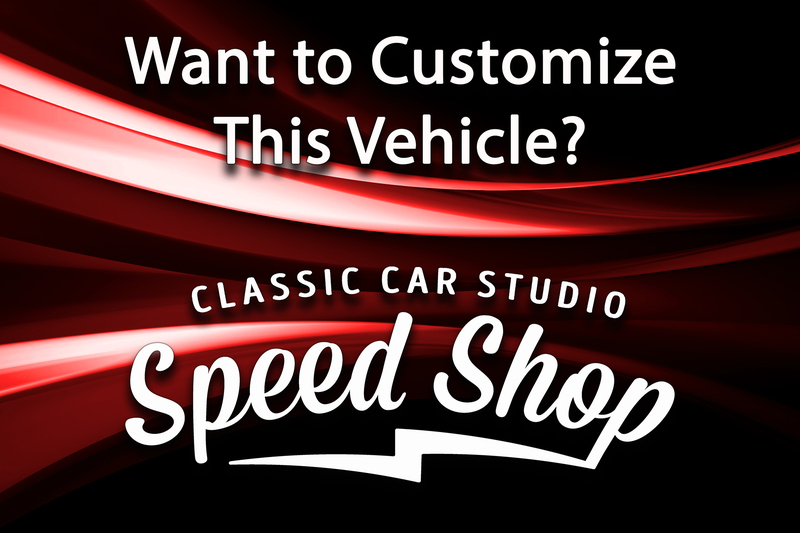 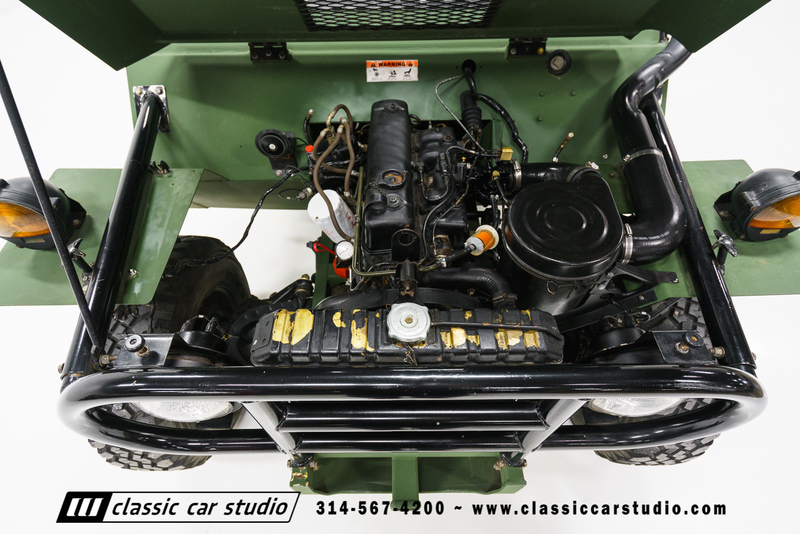 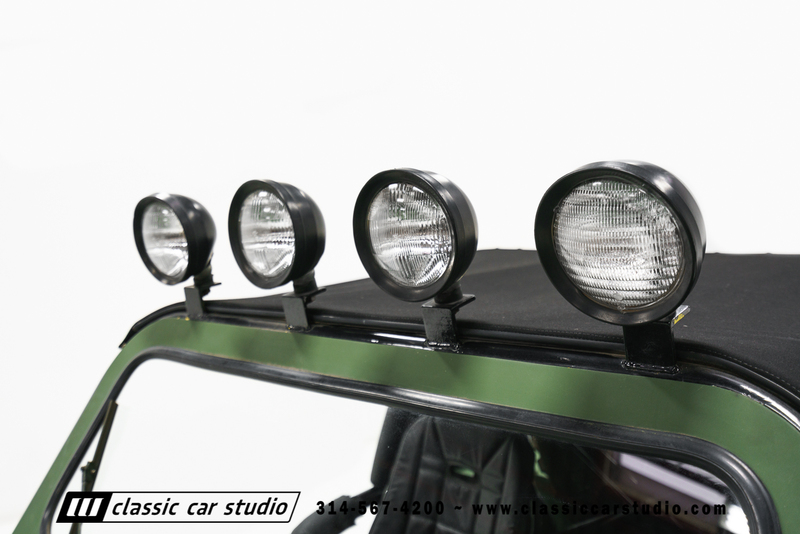 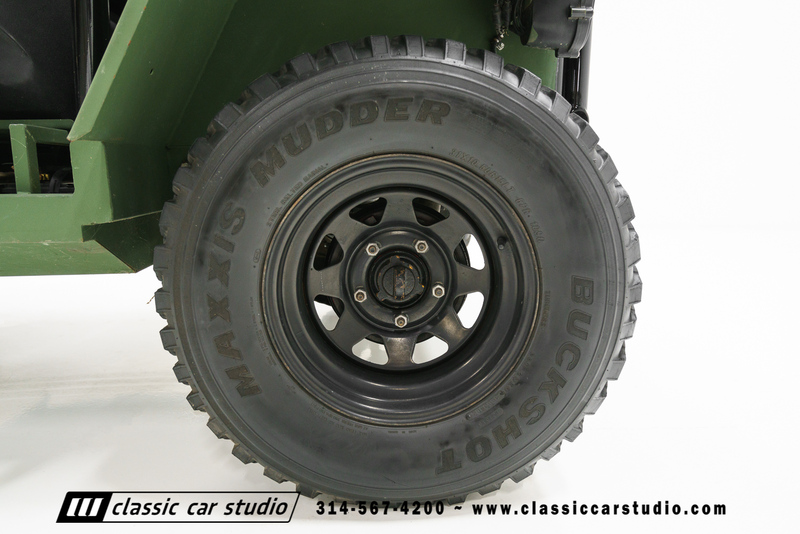 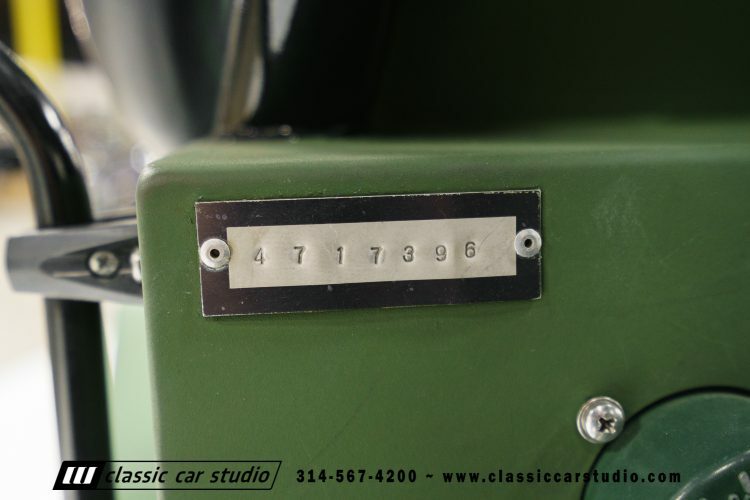 Over the last 5 years, Classic Car Studio has serviced the 4×4 for a good customer, and now it is up for sale. 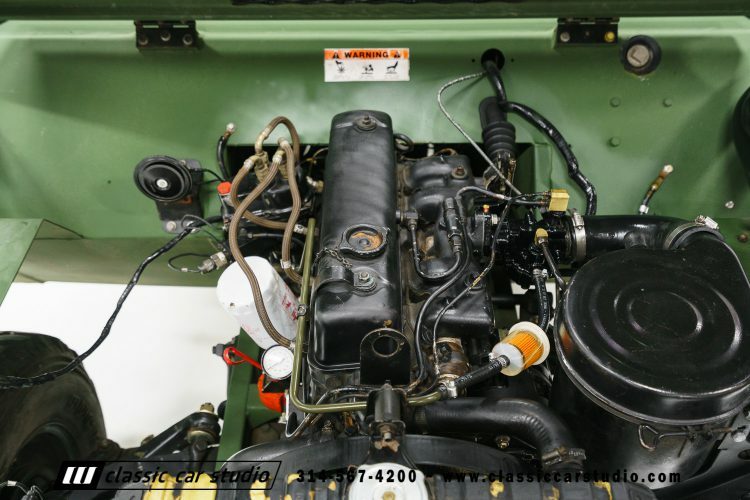 Because the truck uses all M151 running gear it’s easy to service and maintain, and a ton of fun to drive around. After 5 years of looking, we’ve been unable to located another Wolverine for sale in the USUS. 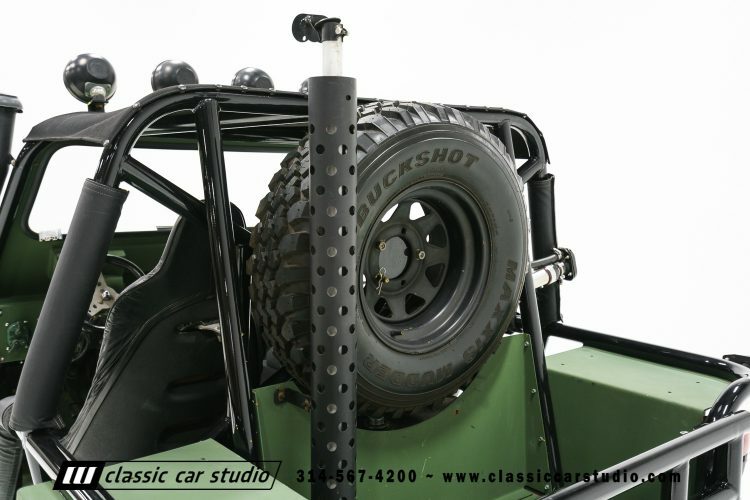 Payload:Two Passengers and Personal Equipment.